Have you ever given thought to how much money you spend just placing your car on a spot of land? When you think about it, paying to park is an enormous waste of money. Yet we do it anyway, and we often make matters much worse by being careless about how we park. Parking fees and tickets can be a killer to your budget. 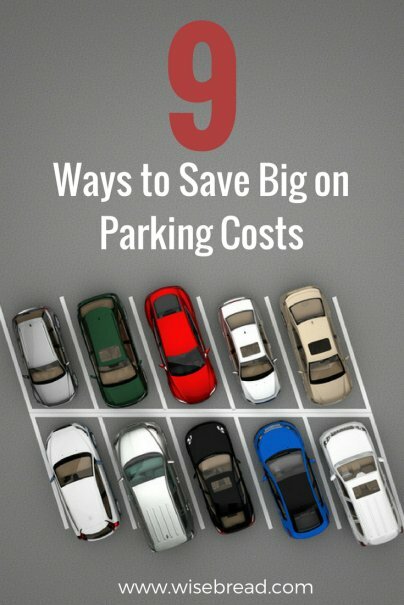 But you can avoid parking costs with a little bit of planning and change of habits. Here's how. In many cities, parking fees are lifted on certain days and times. For example, it's free to park almost anywhere in the District of Columbia on Sundays. If you intend to visit a location and take time to learn when parking fees are waived, you can then choose to travel during those times to avoid parking costs. We've all been in this situation: You're running late and park in the first spot you can find. You pull into an expensive garage because you don't have time to circle the neighborhood looking for street parking. It may cost you several dollars extra every time you park in a rush. My rule of thumb is to estimate how long it takes to get to a destination, especially in the city, and add 20 minutes to find acceptable parking. Budgeting less time often means settling for a spot that's unnecessarily costly. There are a number of websites that allow you to search for parking in garages or even the street, potentially saving you money if you pay in advance. These sites let you search for the cheapest spots in the area you'll be visiting. It definitely beats driving around cluelessly trying to find the best parking deal. I've personally used Parking Panda with some success, but there are others, including ParkWhiz. Many people end up paying tickets they didn't deserve because they don't want to deal with the hassle and time of fighting them. Fortunately, there's an app for that. Several apps, in fact, will allow you to take a picture of your ticket and send it to a legal adviser, who will handle all of the work. Off The Record is one app capable of doing this. There are fees associated with these services, but some companies will offer you a full refund if you are found guilty. Many people will park in pricey garages or pay-to-park lots rather than the street because they don't know how to parallel park. Not only is street parking usually cheaper, but in fact, it's often free on certain days and times, assuming you know where to look. You can't get a parking ticket if you ride the trolley. You'll never overpay when you ride your bike. And you get a lot more exercise when you lace up your shoes and walk. There are a lot of great reasons to walk, bike, and take public transit to get places, and avoiding parking costs is certainly on the list. If you have five friends all heading to the same destination, there's no need for you to all drive separately. Carpooling will save you money on gas and, most importantly, parking. Imagine splitting a $20 parking fee down to $4 per person. This is why you have friends!